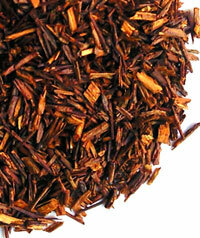 All the world's rooibos - a member of the pea family - grows in one little region of South Africa, not far from Cape Town. 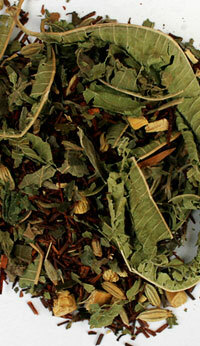 It is a very fussy plant, just like tea. 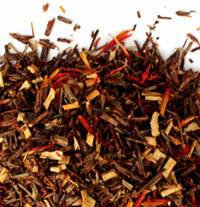 Rooibos with the essence of blood orange and safflowers for a mild sweet taste and fiery red liquor. 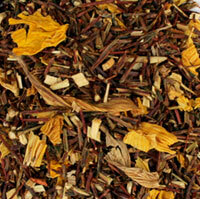 This is green rooibos & greengage: green rooibos with sunflower blossoms and the mild, sweet flavour of greengage. A calming blend of rooibos and a veritable herb garden: peppermint, fennel seed, liquorice root, blackberry leaves, verbena and cinnamon pieces. 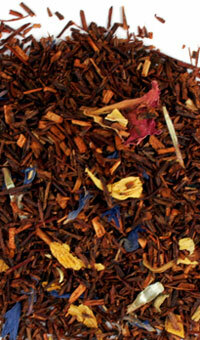 Sunflower blossoms, cornflowers and rose petals add a flowery burst to rooibos. 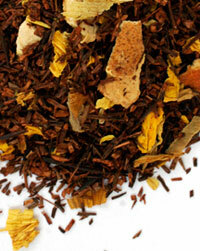 The classic bergamot citrus of Earl Grey blended with the rich and earthy flavour of rooibos. 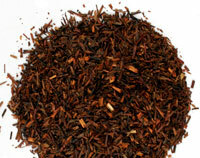 Rooibos with the distinctive flavour of orange, quince and sunflower blossoms for a strong, citrus taste. 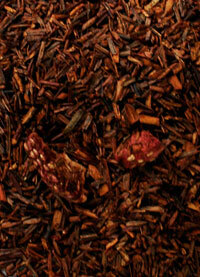 Rooibos tea, strawberry pieces and cream flavour - summer in a mug. This one is a surprise bestseller and one of the most popular in our range. We often recommend it when a customer asks for something "completely different". The contents resemble something like an autumnal forest floor. 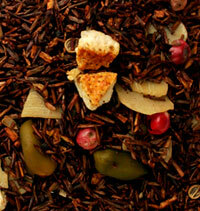 An ever popular mixture of rooibos and vanilla pieces.